While we are in the middle of the Atlantic Hurricane Season that runs from June until the end of November, the National Oceanic and Atmospheric Administration (NOAA) has thought that they have covered the Atlantic region with a reassuring certainty. Not so fast folks because today, Hurricane Catskill Battyogo Bikfic, (owners, Marika and Paul Foreman of Somerville, NJ,) has taken the East Coast by surprise (to keep it modest – I am referring to the event as “by surprise…”) and has won “Best Beginner Puppy in Show” at the Somerset Hills Kennel Club AKC Show in Bridgewater, NJ. 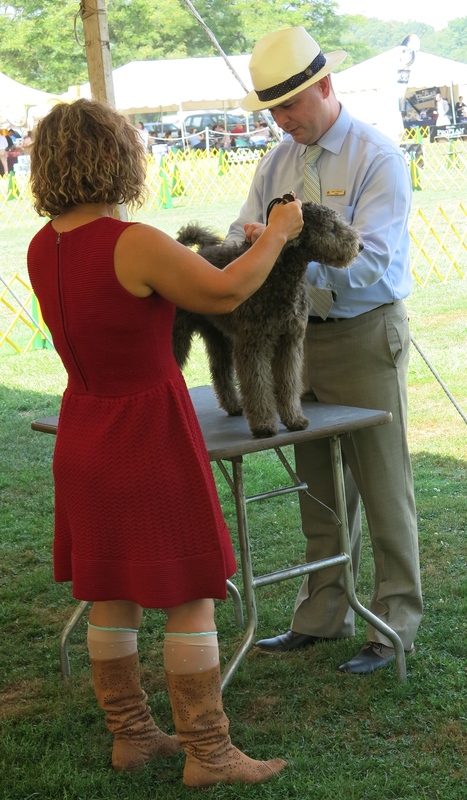 The background of the story: AKC has started organizing more 4-6 months old puppy shows to help breeders and owners to be able to acclimatize their young dogs to show environments earlier. Although, Catskill Battyogo Bikfic was invited into the ring after his Best in Misc. yesterday, we’ve declined to enter, based on our last show experience – I thought that the invitation was an administrative mistake…. 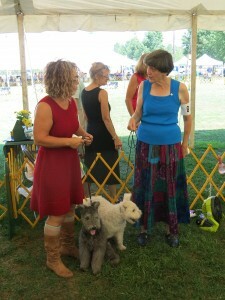 However, today, the judges were insisting that yes, AKC has given the green light for MIscellaneous puppies to enter too. 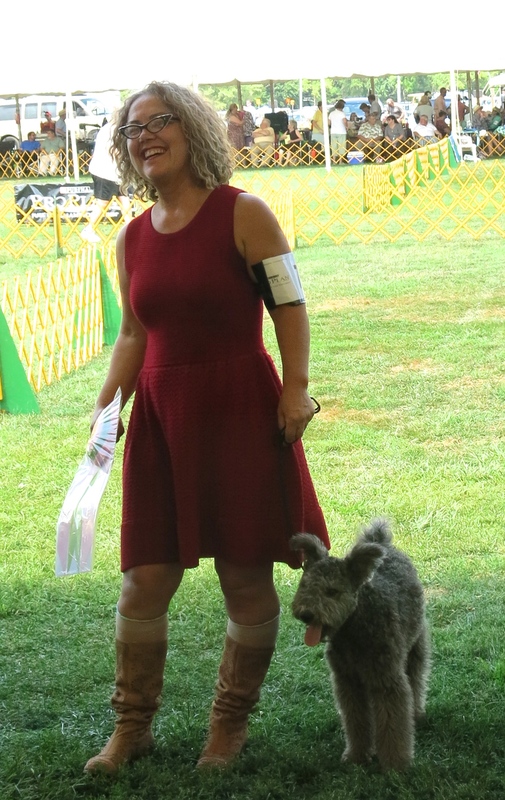 This entry was posted in Catskill Pumi Kennel B-Litter, U.S. Conformation Shows and tagged Agility, Agility breeds, Catskill Battyogo Bikfic, herding, Herding breeds, pumi, Pumi Breeder, Pumi Puppies, Pumik, Pumis on September 6, 2014 by sysadmin. 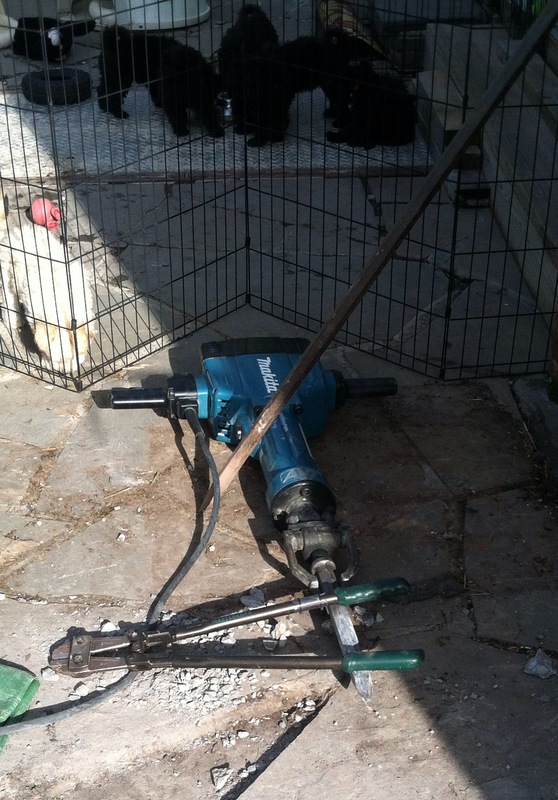 of rat poisoning in Hungary. 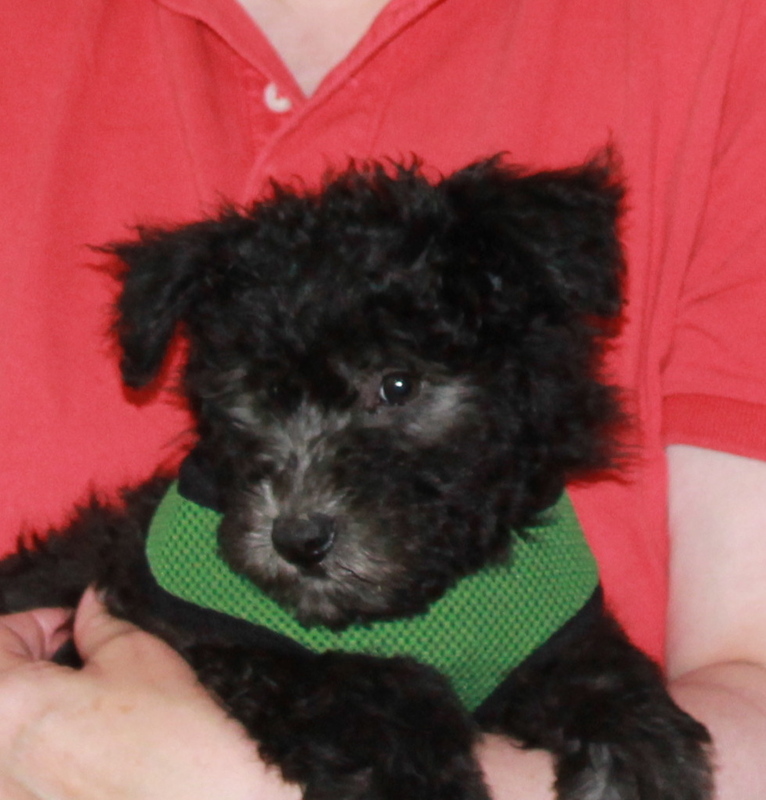 This entry was posted in Catskill Pumi Kennel B-Litter, Uncategorized and tagged CAtskill Pumni B-litter, Pumi Breeder, Pumi Nyirsegfia Penge, Pumi Puppies on May 29, 2014 by sysadmin. Gillian, Martha and Bob with little Baka before taking him to his new home. After a quite challenging canoeing adventure of Bob Fisher over the weekend, (Seventy miles from Cooperstown NY to Binghamton NY). 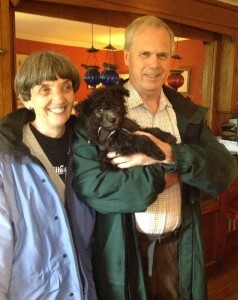 Today, Martha, Bob and their daughter, Gillian Fisher came to pick up Catskill Bocskoros Baka. 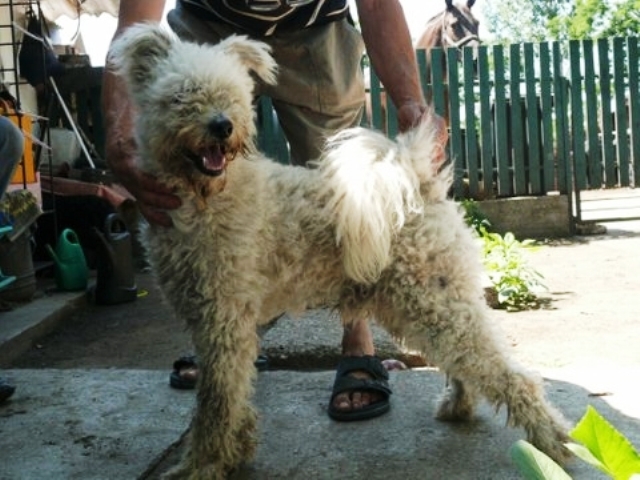 Since the Fishers have raised a long line of herding dogs over the years, they did not blink when the little Pumi, Bokas, looked into their eyes. This really made us comfortable about future checks and balances in the family. What makes this event even more exciting is, that little Baka will live only 4-5 miles from us in the Village of Delhi, NY. He will have access to the Delaware river as well as the local forests and fields under the Fishers’ supervision. The only question left to be answered is, wether it will be fishing or herding, or simply fishing by a herding dog on the Delaware River? Welcome to your new home little Baka…! 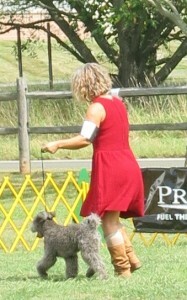 This entry was posted in Catskill Pumi Kennel B-Litter and tagged agility dog, herding dog, pumi, Pumi Breeder, Pumi litter, Pumi Puppies on May 27, 2014 by sysadmin. Charlie and Fitz. In a few days Fitz will be convinced that he is taller than Charlie. A little guy with great confidence and excellent disposition. 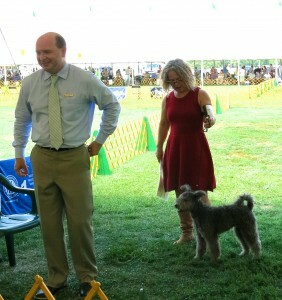 Marika and Paul Foreman with Bikfic. Bikfic will join his big brother, Csibesz from our A-litter. 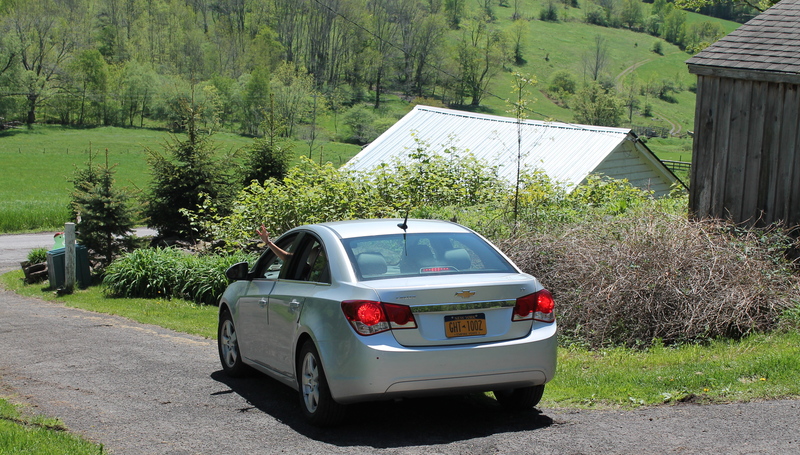 Little Borsi takes life seriously…. Easily could be a “PlayDog” Centerfold “Miss May” drop dead gorgeous. It has been a busy two months for us. Fruska’s uneventful pregnancy has resulted in seven beautiful and healthy Pumi puppies and six (plus us) happy families. It has been a rewarding wonderful two months of hard work with a great result. 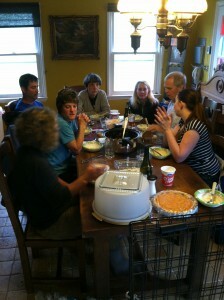 Some of the new owners have joined us for a “get to know each other” on Saturday. Richard Long and the Fishers cold not make it because of their previous holiday engagements and will visit us Monday and Tuesday. 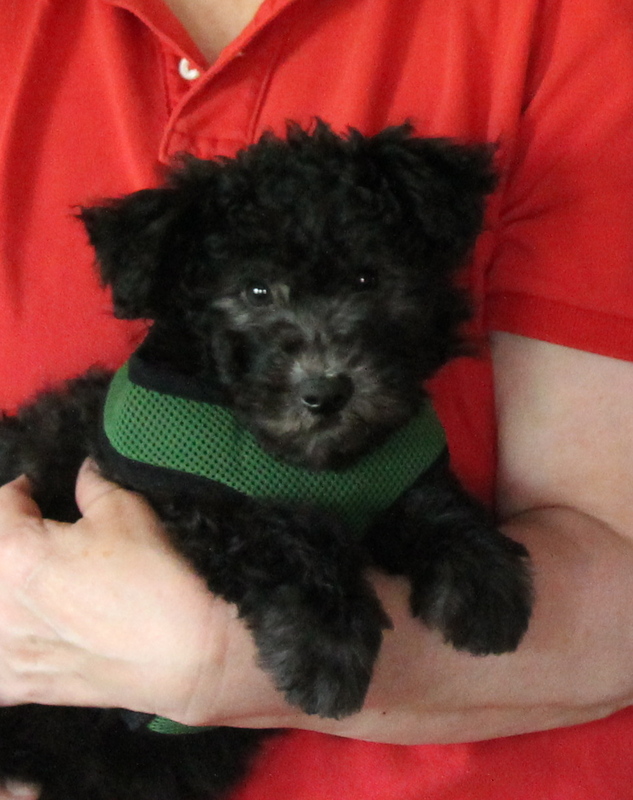 Actually we are glad that two of the pups can stay a few days longer so we do not have to quit cold cold turkey and suffering from Pumi puppy withdrawal syndrome. When Pennsylvania meets Transylvania… Richard Long visited the pups from Pennsylvania earlier this week . Can we be descendants of Penn and Tran, the Sylvania twins? 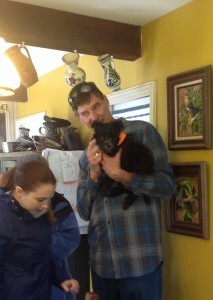 Richard with his future puppy, Astro both of them looking forward the new adventure. We are thankful to all the people who have provided us feedback, advice, and support to make our B-litter such a great adventure. 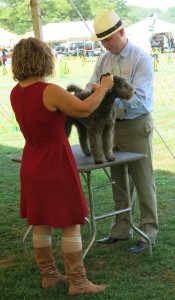 First and utmost to Csaba Zsiros, breeder of the litter’s sire Penge. Also a big thank you goes to Stacy Lehman, whom we clicked with immediately and felt comfortable to welcome her in our home for the weekend. She is one of the warmest loving gails who has never stopped entertaining, engaging us and comforting all of our weekend guests. 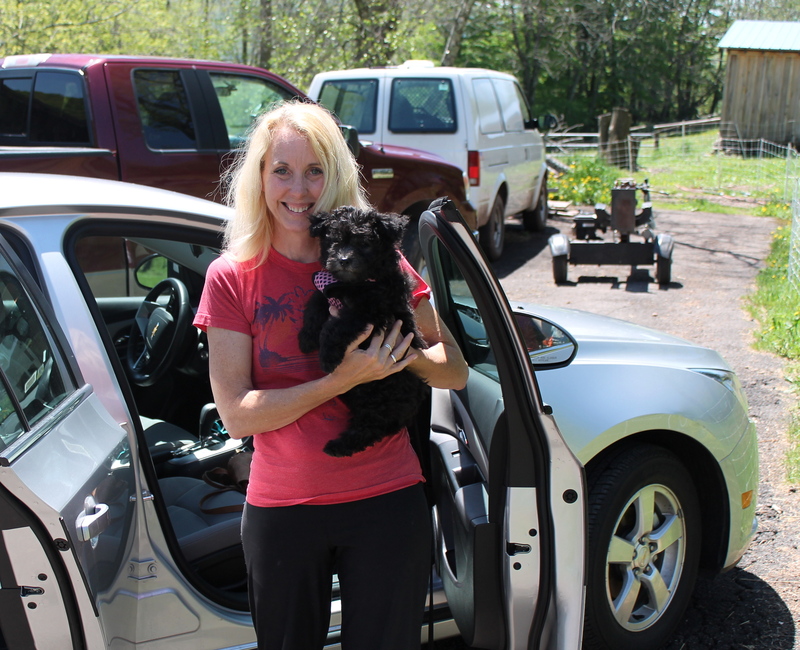 Stacy took her time to fly to us from Texas, leaving her family behind during Memorial Day weekend to pick up her future pup, Catskill Bazsajgos Borsika. 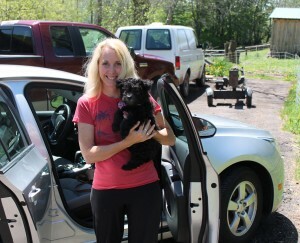 Stacy, our home (and the cabin…:-)) are always open for you and your family and of course your pooches. Richard Long, thank you for your patience that you’ve waited for your puppy, Astro, for such a long time. It has been nice seeing you again and also meet your supporting daughter. 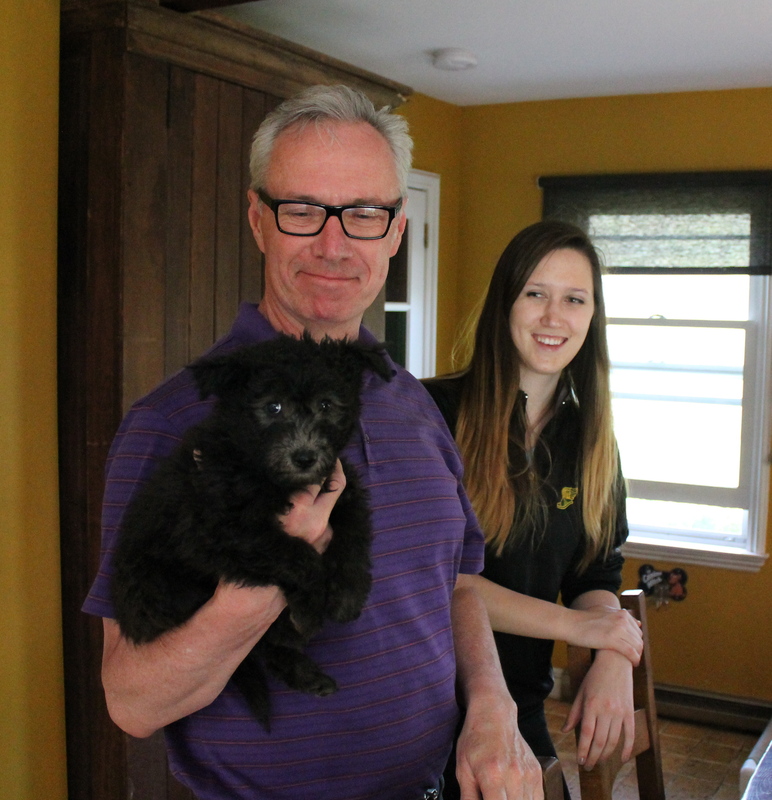 Marika and Paul Foreman, thank you for your true friendship and for choosing Catskill Bikfic of B-Litter as company for Catskill Csibesz of A-litter. 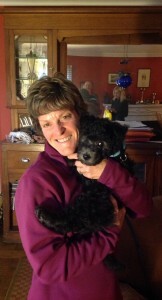 Cherie and Charlie Johnson we are delighted that you’ve found us and decided to take Catskill Fitz, and welcome him in your big loving family. Cherie and Fitz are getting to know each other. 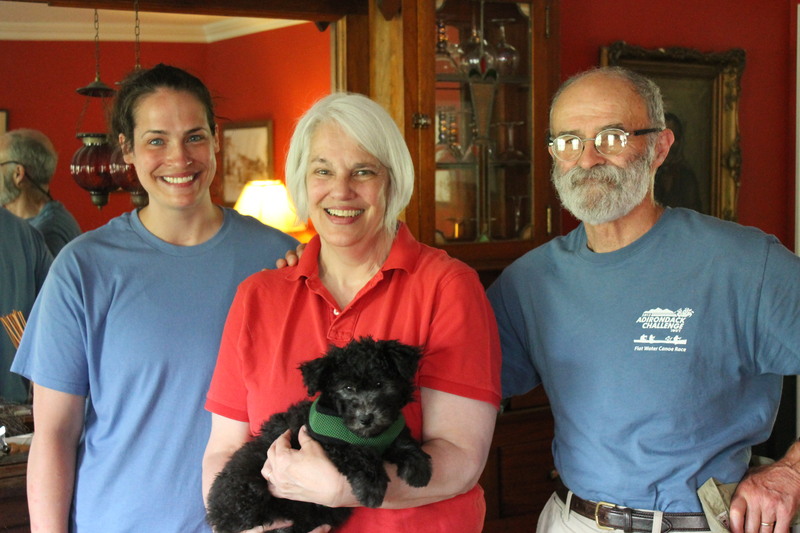 Martha and Bob Fisher, it is the utimate credit to have one of our pups so close to home in the Village of Delhi, here in New York State. We hope to see you around a lot. 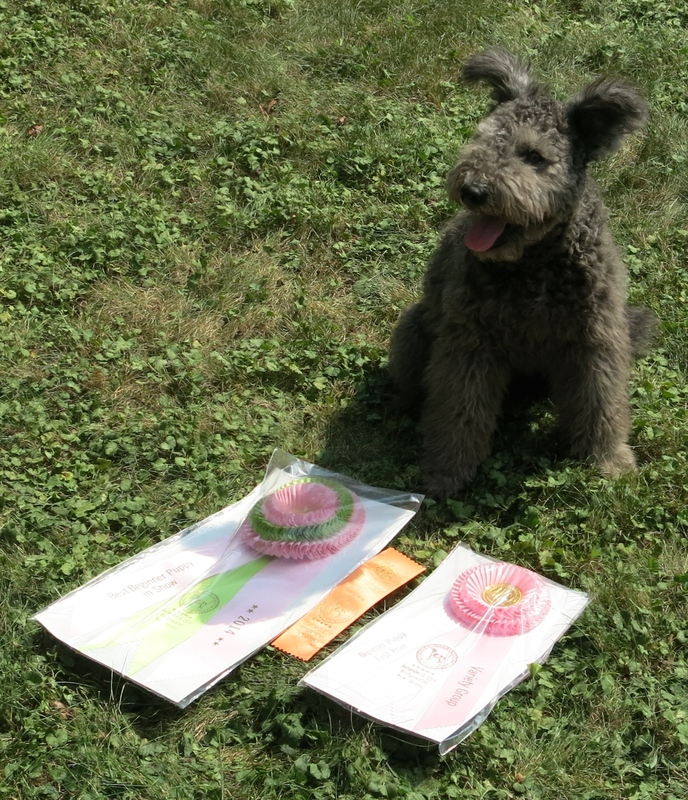 This entry was posted in Catskill Pumi Kennel B-Litter, Uncategorized and tagged Agility, herding, pumi, Pumi Breeder, Pumi litter, Pumi Puppies on May 26, 2014 by sysadmin. Testing dogs for temperament, shyness, fear, physical aptitude, etc…, nothing new. All breeders do them or should do them. Although our guys have been going through our “standardized tests” the past seven weeks, suddenly, yesterday reality hit. 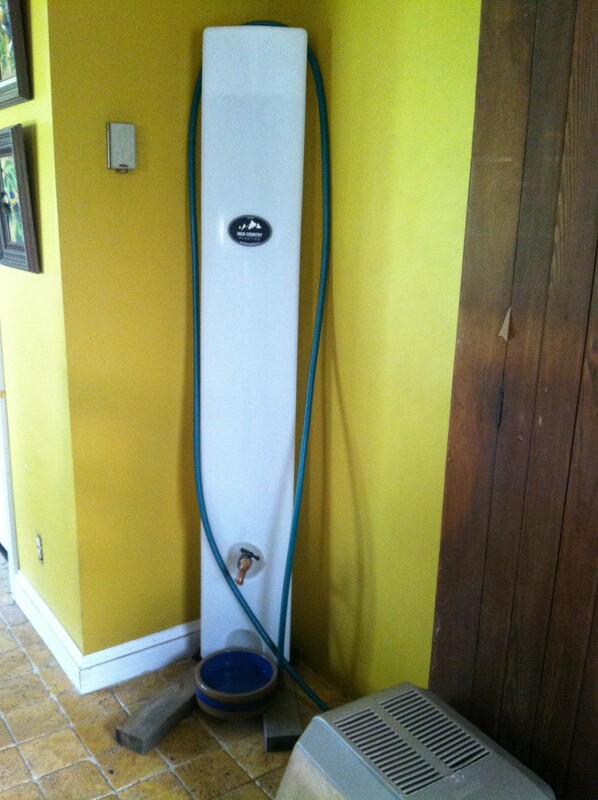 Three days ago our well pump has failed so suddenly we had no water in the house and water for the farm animals. Making things more complicated, Friday we had a torrential storm that prevented us to start the repair. Suddenly the conveniencies of civilization such us flushing toilet, washing machine (especially with seven pups in the house) dishwasher have become dreams far from reality… Our life got put on hold. carrying drinking water from the neighbors house and water for the livestock from the creek bed in the middle of an insane storm. 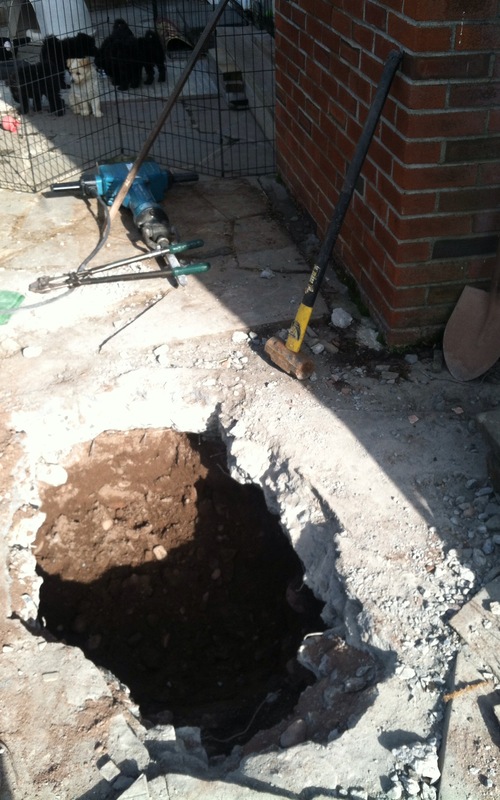 Saturday Laszlo rented a Jackhammer and started breaking up the surface of the porch to find the well. In the same time Sandy and Bill Mainardi stopped by to see the pups while on a quick getaway vacation up in the Catskills. Although Bill currently is dealing with a shopping mall size utility problem, he immediately recognized the severity and magnitude of our situation (who can say no to seven thirsty Pumi pups…) rolled up his sleeves grabbed a shovel and started helping Laszlo, while Ildiko and Sandy was playing with the dogs. In the heat of the play, the dogs didn’t even move their ears while the jackhammer was running. 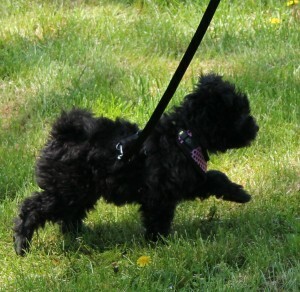 This entry was posted in Catskill Pumi Kennel B-Litter and tagged Agility, herding, noise test for puppies, pumi, Pumi Breeder, Pumi litter, Pumi Puppies on May 18, 2014 by sysadmin. 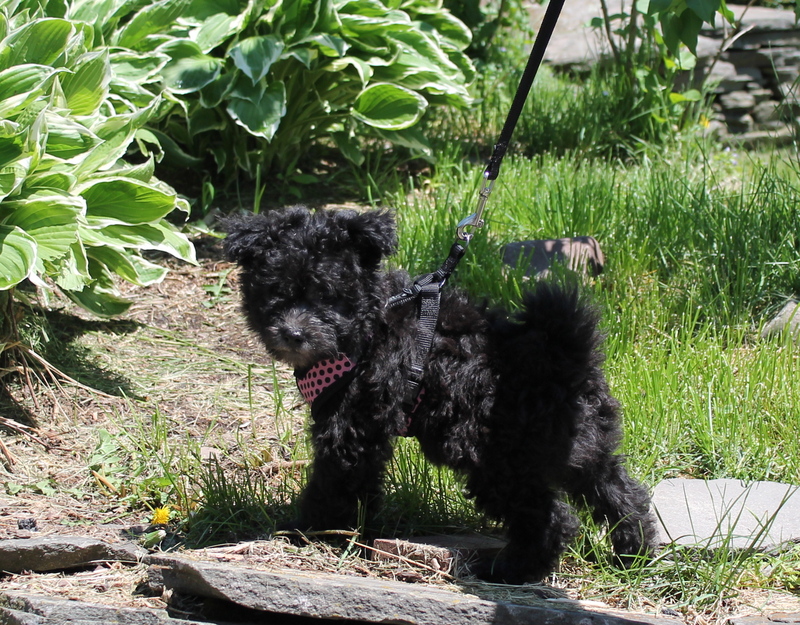 The pups have passed all the newly structured “Ivy league” puppy program (the ultimate oxymoron statement about the Pumi, the forever peasant dog…) virtually with no difference between them. This afternoon, we have been surprised by an individual puppy stunt, that we had to retest immediately, to see that other randomly selected member of the litter is capable to reproduce the same behavior. These puppies rock! This entry was posted in Catskill Pumi Kennel B-Litter, Uncategorized and tagged Agility, herding, Piumi breedere, Pumi litter, Pumi Pumi Puppy on May 14, 2014 by sysadmin. After a long stretch of cold and rainy weather, we had a truly beautiful day today, so we took the pups for their first real hike. This entry was posted in Catskill Pumi Kennel B-Litter, Uncategorized and tagged pumi, Pumi Breeder, Pumi litter on May 13, 2014 by sysadmin. When Sandy came to see the Pumi pups on Monday, it was love at first sight. When she came back today, it was love all over again. 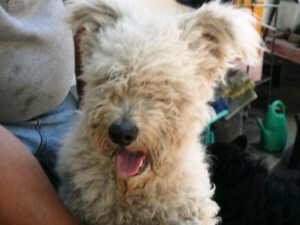 We know it, we can tell from miles away, because we are addicted to Pumi love. It is something that one cannot describe. It has to be experienced. Are you ready for your healthy addiction…? This entry was posted in Catskill Pumi Kennel B-Litter, Uncategorized and tagged Agility, Agility dogs, herding, Herding dogs, Pumi blitter, Pumi Breeder, Pumi Puppies on May 10, 2014 by sysadmin. 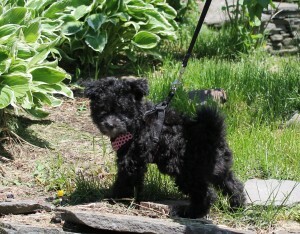 The Catskill Pumi B-litter will be six weeks old Sunday. They are not only healthy and good looking, they have also turned out to be very atlethic. 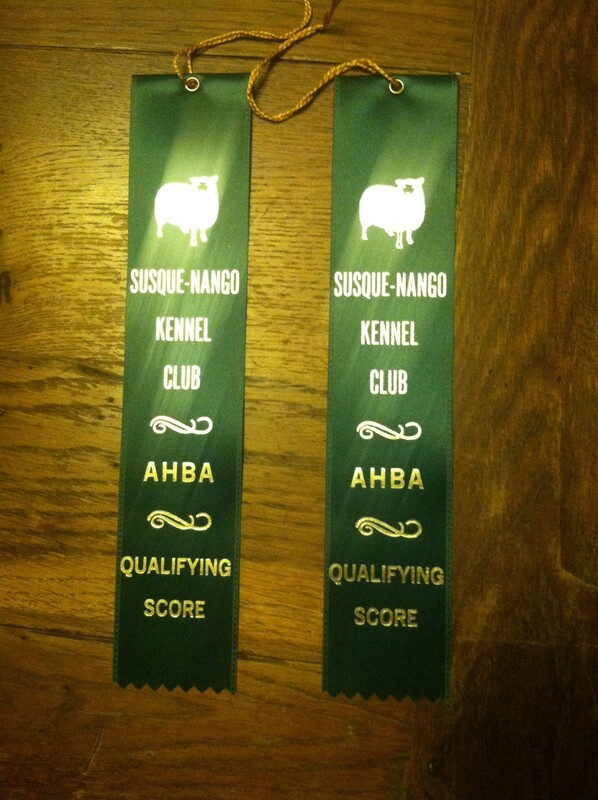 Mama Fruska and Papa Penge can be proud of their offsprings. 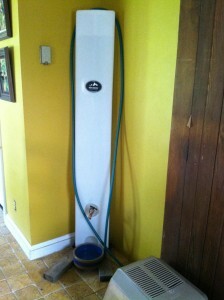 As the Catskills’ three-season weather (Winter, Summer and Fall) has been forcing us spending lots of time inside in April and May, we’ve had to come up with ideas to compensate for the lack of warm weather and keep the pups not only growing but also getting creatively engaged and mentally stimulated indoor. Since we have given up the office cubicle and teaching podium during the last millenium to be able to sit in the symbolic animal pan and play with dogs, chickens, goats, sheep, donkeys and horses, (etc.) 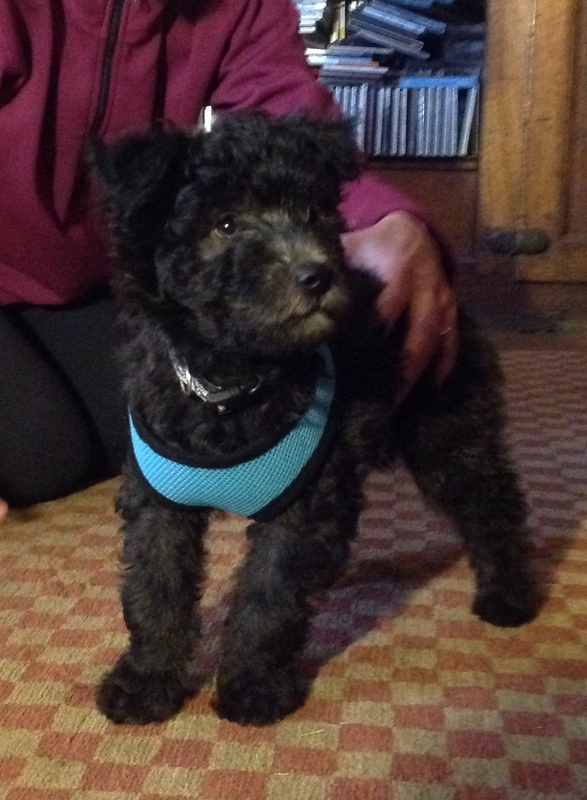 it was not difficult to figure out, how we can keep seven Pumi pups to be engaged, curious and stimulated. This entry was posted in Agility, Catskill Pumi Kennel B-Litter and tagged Agility, herding, Pumi Breeder, Pumi litter, Pumi Puppies on May 9, 2014 by sysadmin.